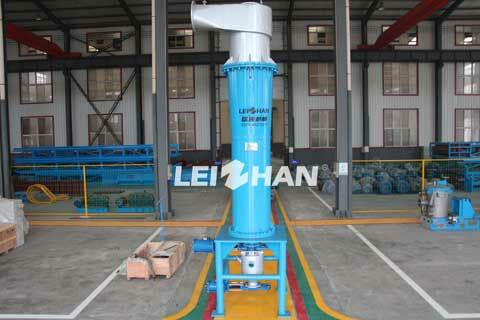 High density cleaner adopt stainless steel tube, new structure, ceramic cone and deslagging nozzle. The impurity separation effect is good, the deslagging efficiency is high. High density cleaner is mainly applied to remove all kinds of heavy impurities in paper pulp, like staples, stones, glasses, etc. By using the different proportion between fibers and impurities to separate the heavy impurities to obtain high purification effect. ● Large production capacity, zero fiber loss.